Ladies and gentlemen with great pleasure Tex Mex in cahoots with WhySoSerious bring you this summer's hottest boat party.....by day! 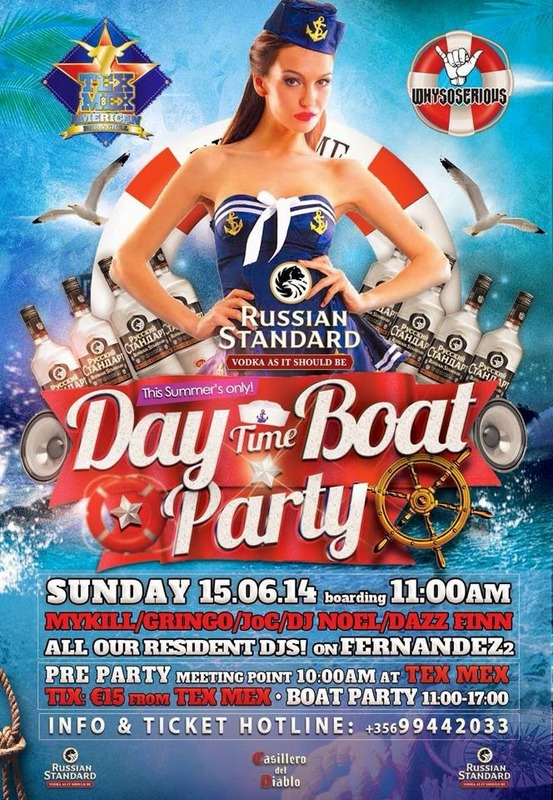 The Russian Standard Vodka Day Time Boat Party! Continuing in the tradition since the hay days of the original Chequers at The Strand we bring you the only boat party you need to attend to this summer! Find the unique Tex Mex and WhySoSerious vibe on a boat this year with all the Tex Mex resident DJs back to back! The excellent drinks as served at Tex Mex and some snacks too! Refreshed but Russia's number one award winning Russian Standard Vodka! MykillL / El Gringo / Dazz Finn / Joc / DJ Noel.